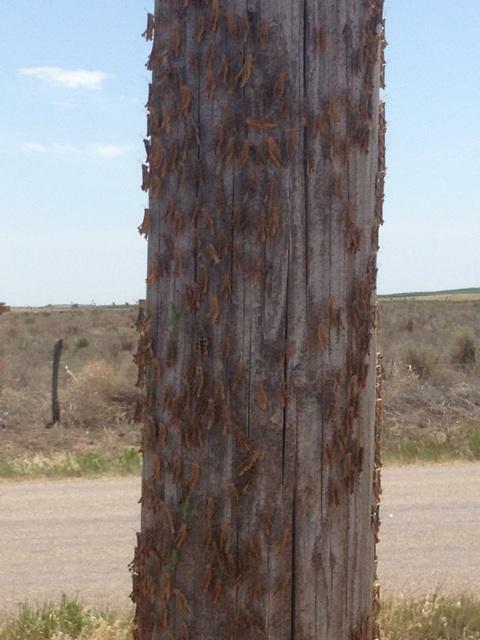 Webworms are being spotted in SW Kansas in double cropped and late planted soybeans. 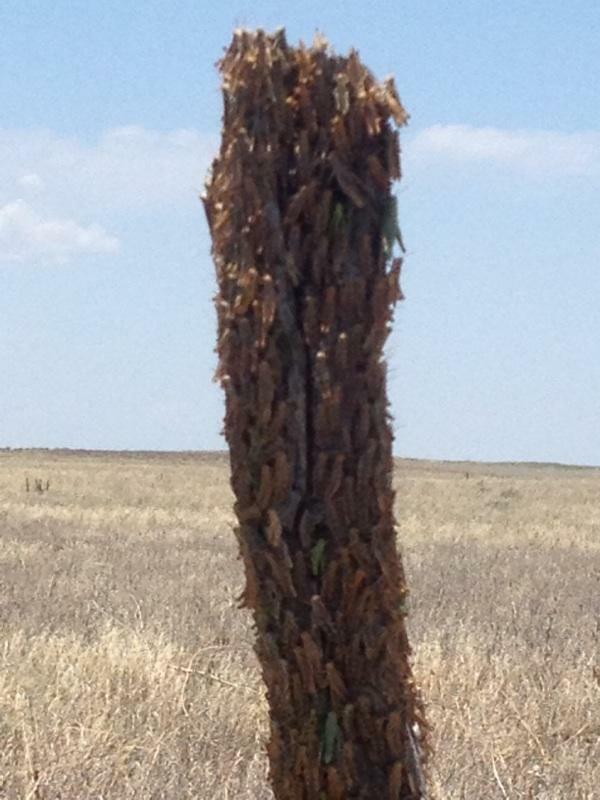 In Kansas, these moths can have multiple generations per year, with the bulk of the damage to soybeans occurring in July and August. 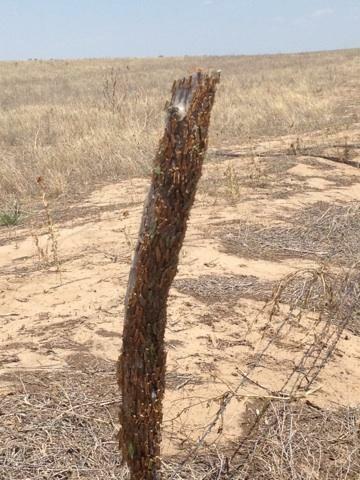 Scout these soybeans fields often as these caterpillars can defoliate a young soybean crop in just a few days. 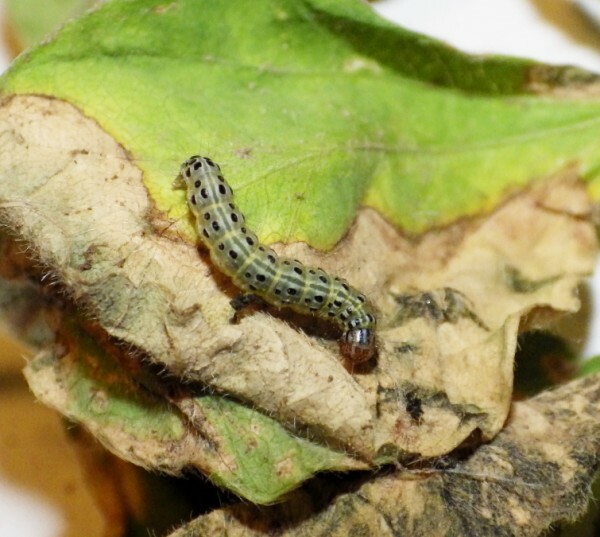 There are two species, the garden webworm and the alfalfa webworm, that will attack soybeans. 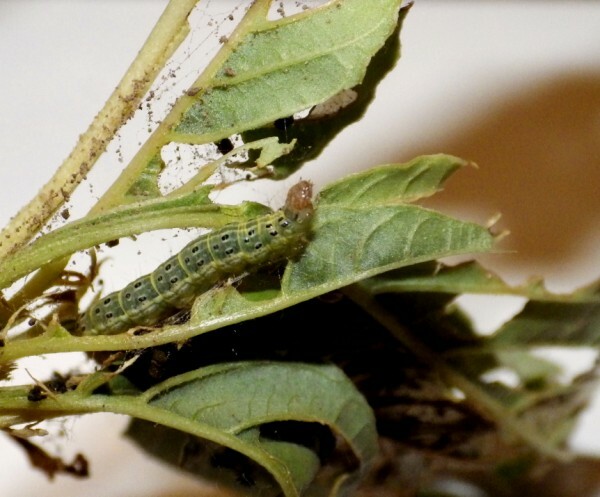 Pigweeds are one of the preferred foods of the garden webworm. 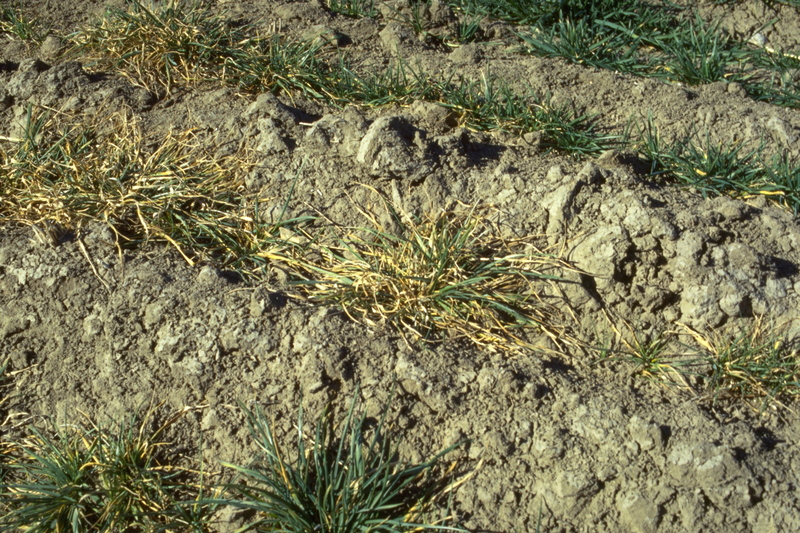 When these weeds are sprayed with herbicide, the larvae move in mass to their secondary host, soybeans. 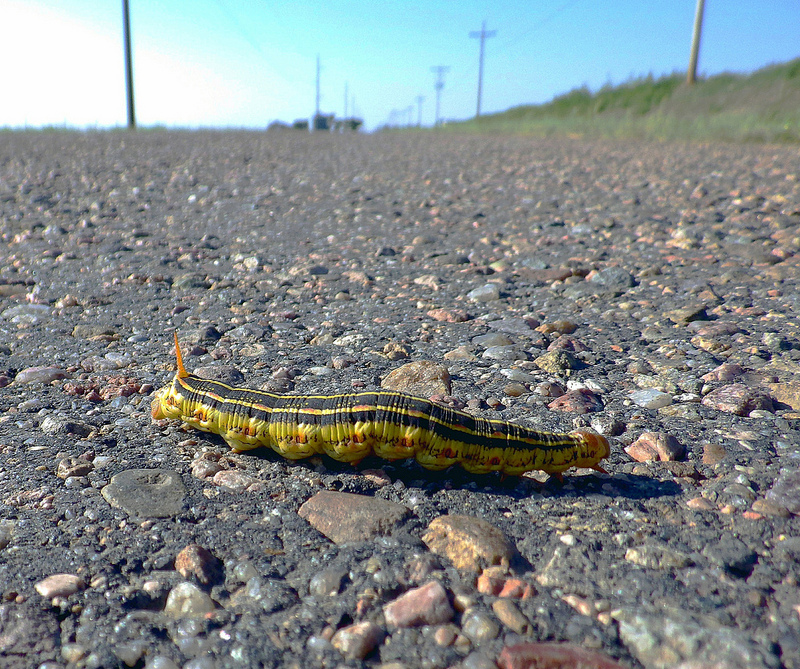 The alfalfa webworms will migrate from alfalfa after it has been harvested. 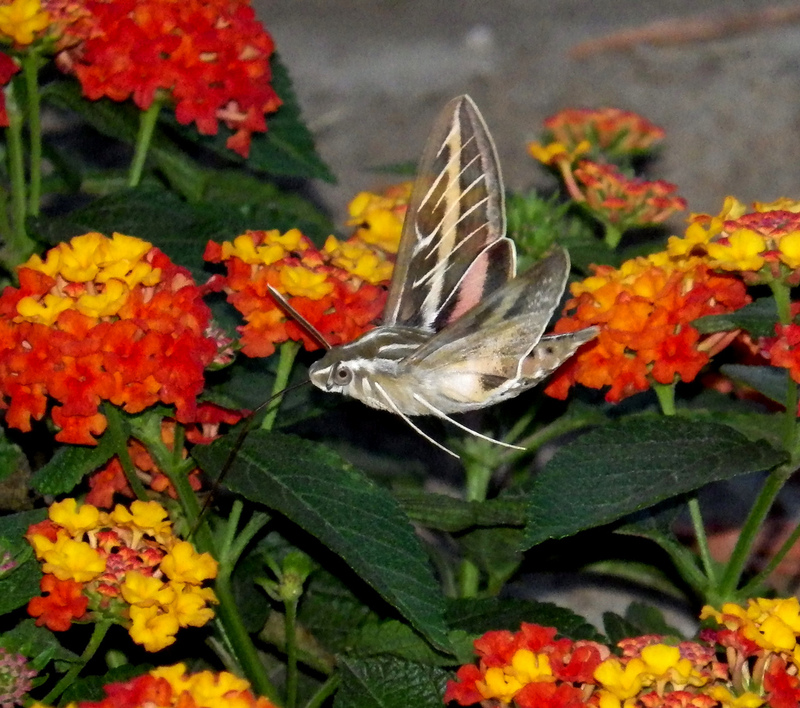 High numbers of these moths have been seen flying in alfalfa fields recently, but harvesting the alfalfa will eliminate eggs the moths may have laid. 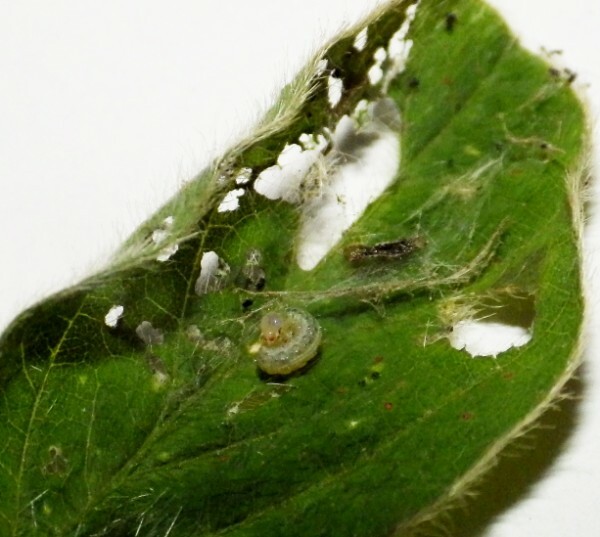 Early instar webworm on soybean seedling. The garden webworm, Achyra rantalis. 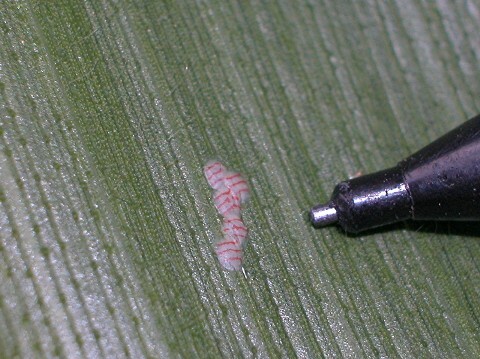 Webworms will line their feeding site with silk, often tying one or more leaves together. 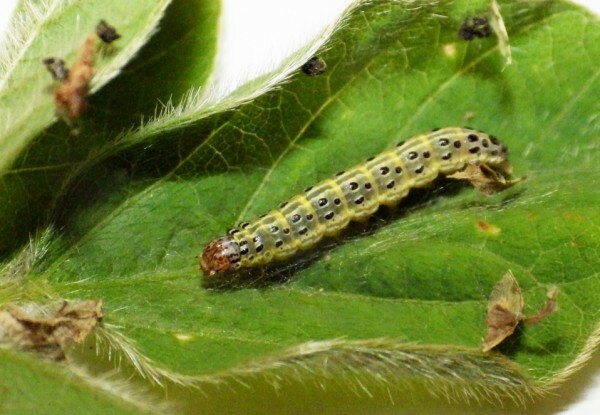 Webworm feeding damage in soybeans can be recognized by leaves having a window pane look with frass pellets mixed within the silk. 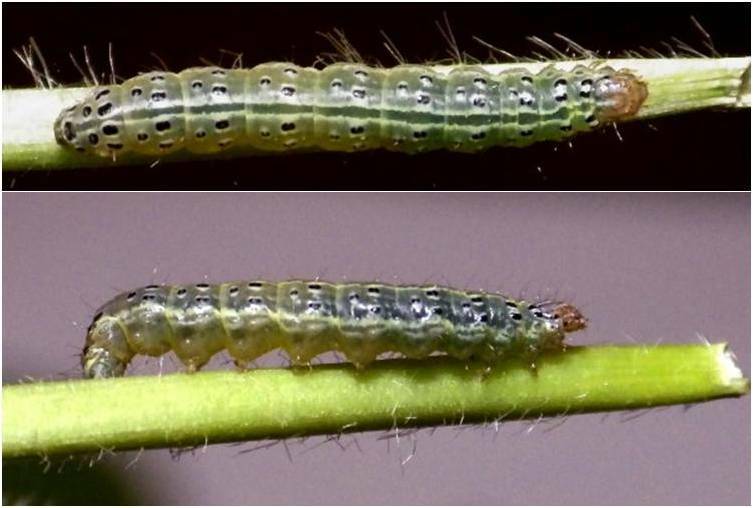 The garden webworm can be easily distinguished from the green cloverworm by its appearance and damage. 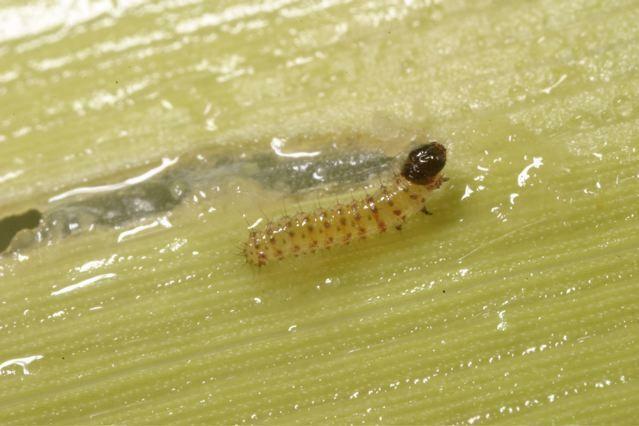 The webworm has three spots in a triangle formation on each segment and 4 abdominal prolegs, while the green cloverworm has no spots and has three abdominal prolegs. 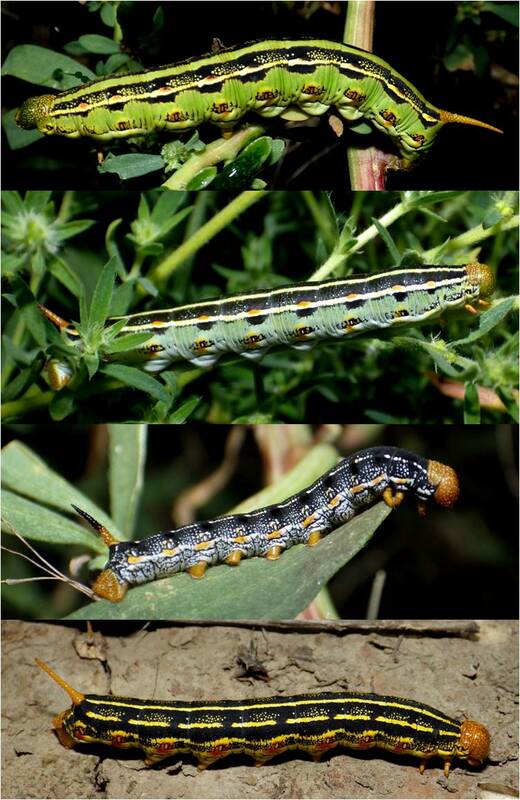 The green cloverworm chews irregular holes in the leaves and will not clump leaves together with silk. 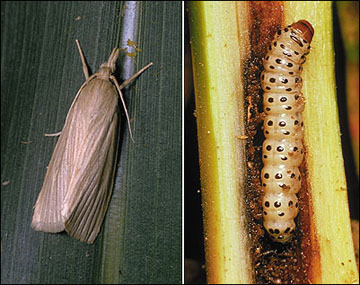 Both of these larvae can act erratically when disturbed. 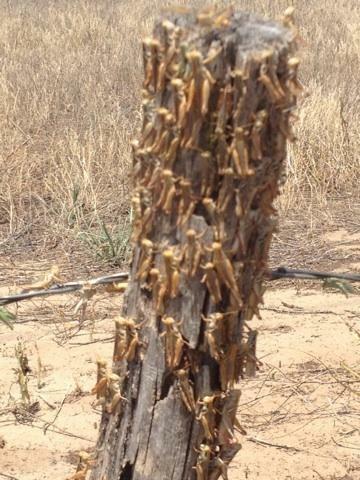 Too hot for the grasshoppers! 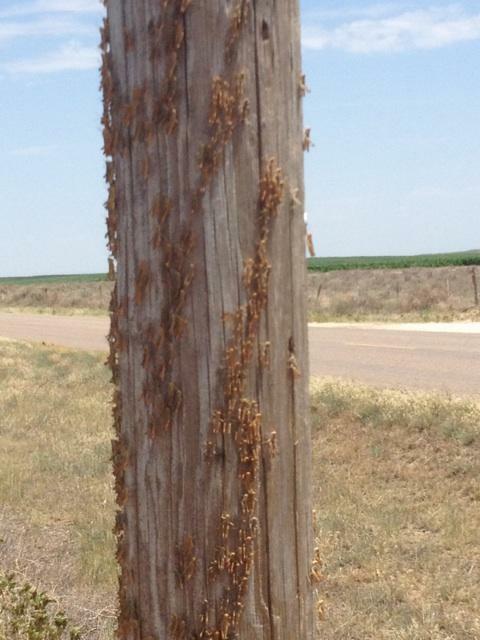 Thousands of grasshoppers try to escape the 108+ degrees that we had last week by climbing anything in sight! 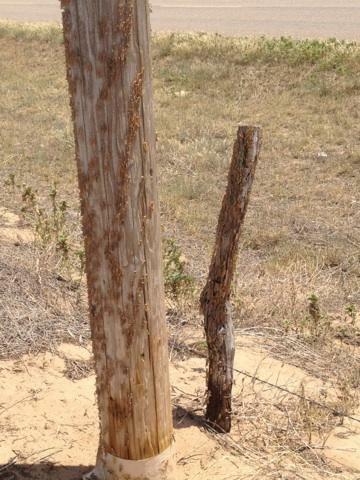 These photos were taken in Holcomb, KS (Finney Co.) by Ken Robinson. 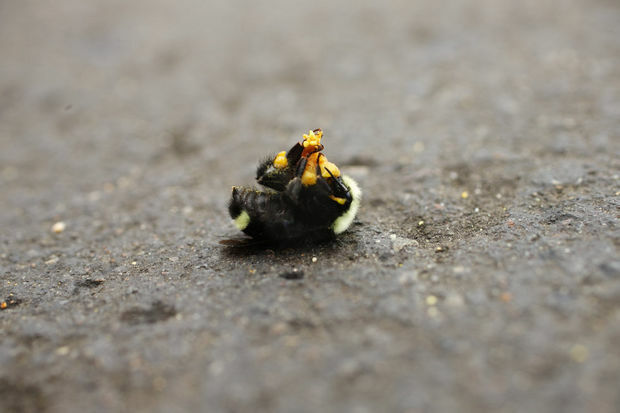 The large bumblebee kill event that recently occurred in Oregon indicates a need to remind users of pesticides about the absolute importance of reading and following the label – and to pay particular attention to WARNINGS. With agricultural production in full swing all across the country, USDA requests your assistance through outreach and education to remind all users of pesticides of the importance of following the label. 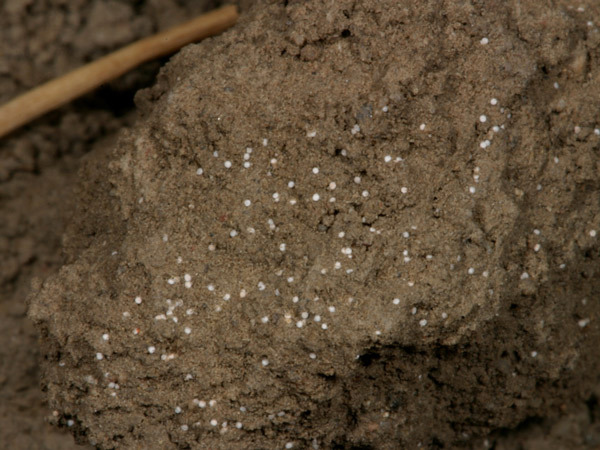 This helps to ensure good pest management while protecting wildlife, their habitat, and the environment. It is especially important that urban gardeners and homeowners, who may not be as familiar with the content of the label, have access to this important information. 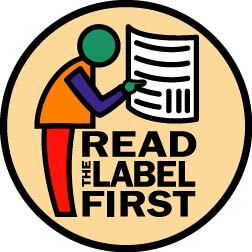 Use of any pesticide in any way that is not consistent with label directions and precautions is illegal. It may also be ineffective and dangerous. 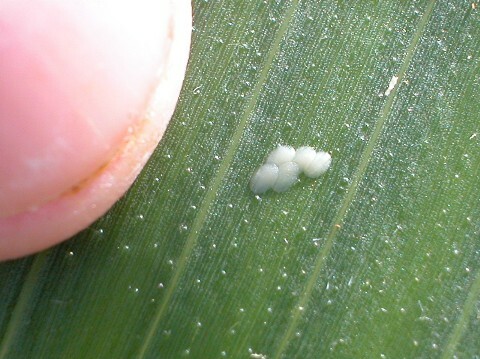 Choose the form of pesticide best suited to your target site and the pest you want to control:First, identify the problem correctly and then, choose the least-toxic pesticide that will achieve the results you want and be the least toxic to you and the environment. 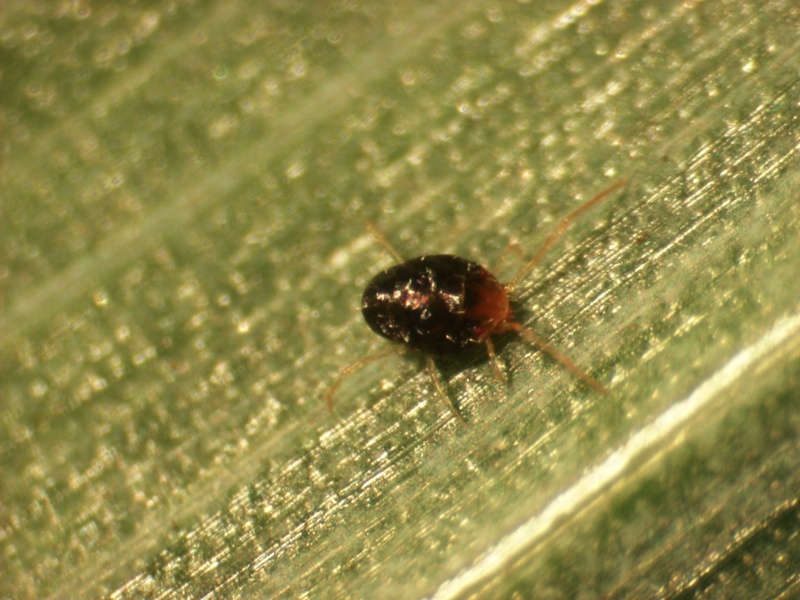 When the words “broad-spectrum” appear on the label, this means the product is effective against a broad range of pests. 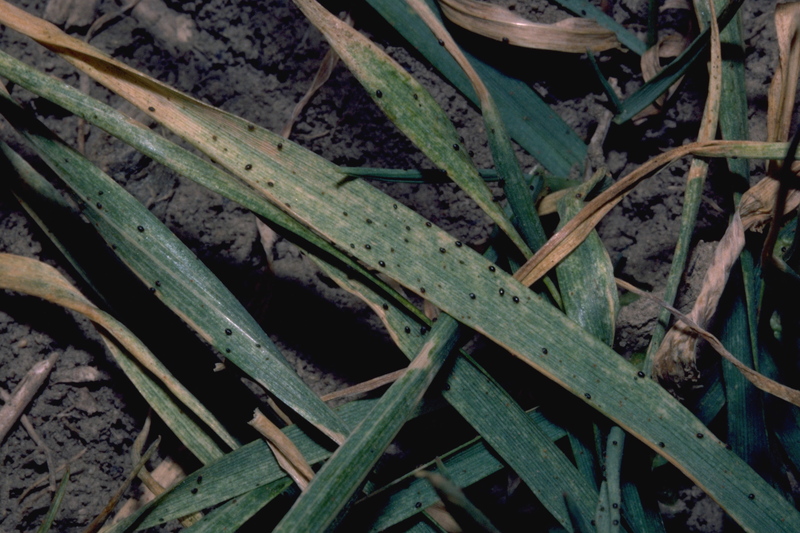 If the label says “selective,” the product is effective against one or a few pests. Read the label before buying the pesticide, read the label before mixing or using the pesticide each time, and read the label before storing or disposing of the pesticide. Determining the right amount to purchase and use: do not assume that using more pesticide than the label recommends will do a better job . It won’t. **State and local laws regarding pesticide disposal may be stricter than the federal requirements on the label. Be sure to check with your state or local solid waste agency before disposing of your pesticide containers. As the estimate of dead bees rose to 50,000, the Oregon Department of Agriculture confirmed the insecticide Safari caused the deaths in a Wilsonville earlier this week. 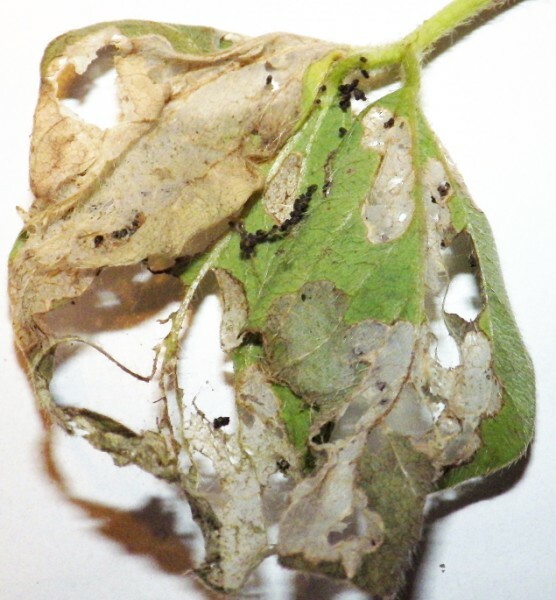 A landscaping company sprayed 55 linden trees in a Target parking lot to control for aphids. Safari’s main ingredient is dinotefuran, a neonicotinoid.